The apex court had directed the Dargah Trust to remove the encroachments by May 30 or face removal by a joint task force. The Supreme Court on Thursday refused to entertain a plea of shop owners of Mumbai’s Haji Ali Dargah for modification of its order directing the removal of encroachments in 500 square metre area of the 700-year old historic shrine. The apex court had directed the Dargah Trust to remove the encroachments by May 30 or face removal by a joint task force. 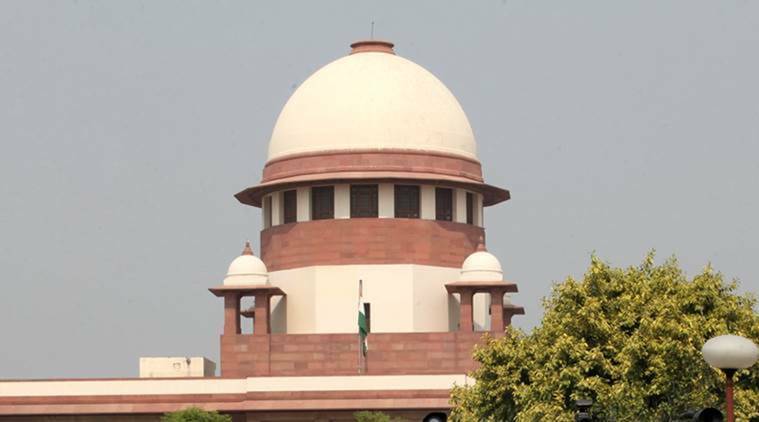 A vacation bench of Justices L Nageswara Rao and Navin Sinha said the apex court had already considered the matter in detail and passed the order. “We cannot entertain the petition as the other bench of this court has already considered the matter in detail and passed the orders,” the bench said. Counsel appearing for some shop owners said they have been running their shops since 1942 and have been regularly paying rent to the trust. He said several civil proceedings were also going on with regard to the shops and injunctions have been passed. To this, the bench said the apex court has already passed the order that no other authority can deal with the issue when it is seized of the matter. On May 9, the apex court had asked the trust to remove encroachments in a 500 square metre area in the historic shrine within four weeks, while lauding its efforts in this regard so far. It had said that if the encroachers failed to comply with the order to remove the encroachments by June 6, then the Joint Task Force set up by the Bombay High Court will come into the picture and begin the work of removing them from June 10 and complete the task by June 30. The apex court had directed that the beautification plan around the shrine, built in 1431 AD, has to be placed on record before the apex court on or before June 30. It had the sentiments of the people of the community should be kept in mind while carrying out the plan. The Haji Ali Dargah was constructed in 1431 in the memory of a wealthy Muslim merchant, Sayyed Peer Haji Ali Shah Bukhari, who had given up all his possessions before making a pilgrimage to Mecca. The Haji Ali Dargah Trust had on April 13 relented to the tough stand taken by the apex court against large-scale encroachments around the historic Mumbai mosque and volunteered to remove them by May 8. The offer to remove and demolish encroachments came after the apex court made it clear that only the mosque, located on an area of around 171 sq metres since 1931, would remain protected, while the rest of the area, measuring 908 sq metres, should be cleared of squatters. The High Court had ordered the formation of a joint task force comprising the Municipal Corporation of Greater Mumbai and the Collector to remove illegal encroachments on the approach road leading to the Haji Ali Dargah. It had made it clear that no other court, other than the apex court, will entertain the petition relating to the removal of encroachments around the shrine.